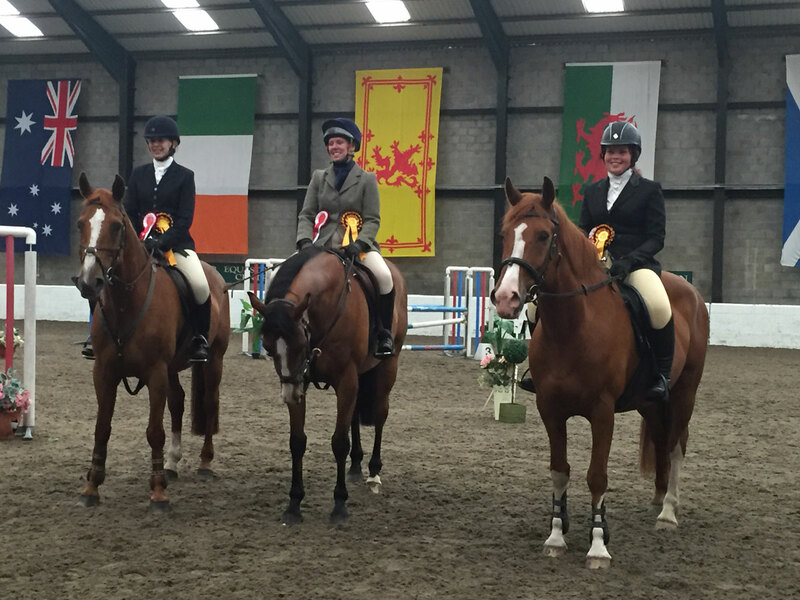 Ayr Riding Club forms part of Area 1 (South of Scotland) for Area qualifiers and Regional finals. 2016 was our most successful year ever – with 4 teams as well as individual riders qualifying for the September Championship finals at Lincoln. We welcome riders and horse of all abilities to take part in qualifying competitions. and who wouldn’t love the chance to compete in an Ayr Riding Club numnah? If you are unable to ride you can still take part in the qualifiers by volunteering as the team club helper. Both routes are great way to meet other club members and learn new skills. and entries/stabling for qualifying teams who compete at the finals. Additional training is organised for individual / team members in the run up to qualifiers and finals. The National Championships took place at Lincoln on the 10th and 11th September. and Eleanor and Julie came 6th in the pairs. Valerie rode a fantastic round in the style jumping. The weather conditions were truly horrendous – at the very least it drizzled and at the worst poured with rain – so lovely of Lincoln to make us feel at home!